A quote from one of my favorite movies of all-time, “Prefontaine,” stated that the protagonist’s drug was winning at everything. Apparently, this is a personal philosophy that Cornell University Head Coach, Rob Koll, also subscribes to. The owner/operator of the preseason #1 team in the nation, Koll continued his pursuit of the top-ranked recruiting class in 2011 today by getting a verbal commitment from 3x Missouri State finalist/2010 State Champion, Bricker Dixon, the #41 recruit in the current senior class. The Park Hill High School stud is the highest regarded of the quartet, joined by #65 Joe Rendina (Dundee, MI), #97 Caleb Richardson (Blair Academy), and #93 Duke Pickett (Woodberry Forest, VA)….The Big Red have also landed twin 2010 NYS DII State Champions in Craig and Owen Scott (Palmyra-Macedon). A state runner-up (@103 in 2008; 112 in 2009) in his first two seasons as a member of the P.H. Trojan wrestling program, Dixon went a combined 79-7 during his freshman and sophomore seasons. During each of these seasons, the future Big Red student-athlete demonstrated that he could hack it on the national stage as well, earning All-American honors once in both of the international styles. In 2008, he capped off his freshman year by placing fourth in the 105-pound weight class at the Cadet Greco-Roman National tournament. He would follow this solid effort up in 2009 by making a smooth transition to the junior level, earning his spot on the podium with a sixth place finish in freestyle at 112 pounds. The latter feat must have been a source of immense inspiration heading into his junior season as the 3.8 GPA student would go on to have about as good a third year campaign as anybody in the nation. Finishing the regular season with an unblemished 46-0 record, Dixon cruised through the MSHSAA Class 4 state tournament, registering bonus points in all four of his bouts (3 major decisions; 1 TF), outscoring his opponents by a margin of 50-4 in the midst of earning his first individual crown. As an added bonus, Dixon’s performance (he was one of five Trojan state champs) also proved key in assisting Park Hill in repeating as the team champions, as they accumulated approximately 70 more points than their nearest challenger, Blue Springs High School….To put the finishing touches on an amazing 2010 season, Dixon added his third consecutive All-American finish under the Fargo Dome, claiming the bronze medal in junior freestyle at 119 pounds. Regarded as the #6 senior prospect at his projected collegiate weight class of 125 by TheOpenMat.com, Dixon was rumored to also be considering the University of Virginia, UPenn, Oklahoma State, and NC State among others…His decision to commit to Cornell surely broke a lot of hearts as his future coach, Koll and staff continue to build the caliber of depth that would make their second-string a national title contender. Barring a Saturday commitment, today’s news officially closes out what has been a great week for NYS DI colleges in the recruiting war, as over the course of the past six days, Binghamton (#19 Nick Gwiazdowski), Buffalo (#44 Jake Waste), and now Cornell have all successfully landed a top-100 recruit from the class of 2011. It is reasons such as these that have Empire State wrestling fans jumping for joy as they take a glimpse into the future. LHW extends it sincerest congratulations to Bricker, his family, his coaches at Park Hill, as well as our friends at Cornell. We wish all of the aforementioned success and health as they all embark on what is sure to be another action packed and award winning season of fierce competition. 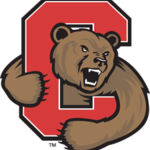 Next Next post: Cornell’s Big Red: A green light for an NCAA team title?